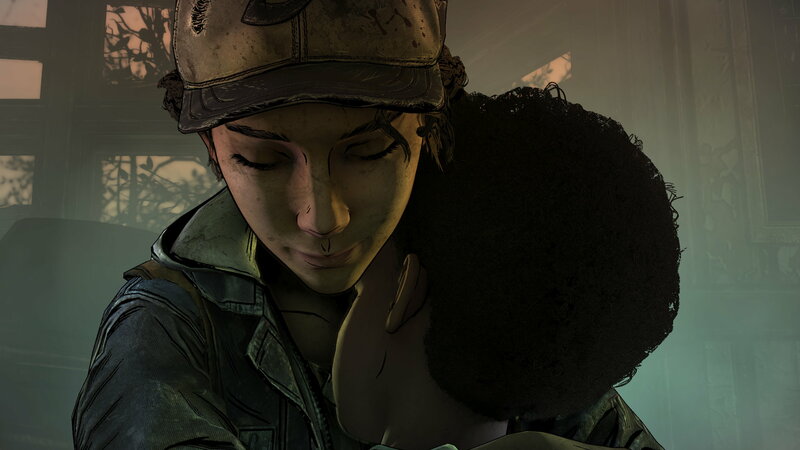 The end of Clementine’s story begins soon in The Walking Dead: The Final Season, which launches its first episode next week, and today we can play the beginning of the beginning of the end of the zombie apocalypse story ’em up in a short free demo. It’s only 20-odd minutes long but introduces us to Clem now she’s become a gamedad herself, protecting an orphan of her very own by stabbing baddies in the head. They grow up so fast! It also lets us kick the tyres and see how the game runs on our PCs, whether it goes Dawn Of The Dead (2004) or a bit more Dawn Of The Dead (1978). Hit Steam to download the demo for Windows, which will slam 2.4GB down your pipe. It’s the same section seen in that gameplay video last month (and released on consoles last week) but now we can choose our own banter and make our own orphan-shaping decisions. My orphan will grow up full of banter and prepared to stab me in the head when my time comes, or that’s my hope. Every gamedad dreams of raising an orphan that good. The Walking Dead: The Final Season is due to kick off next Tuesday, August 14th. The full four-episode season will cost £19/€24/$20 on Steam, GOG, and Humble. This concluding series will be able to import saves and decisions from earlier games. If you’ve lost your saves or changed your mind, you can use Telltale’s handy Story Builder to remake your choices and import those results into The Final Season. Tagged with demo, Telltale Games, The Walking Dead: The Final Season.